Who can resist this fabulous tropical notebook. 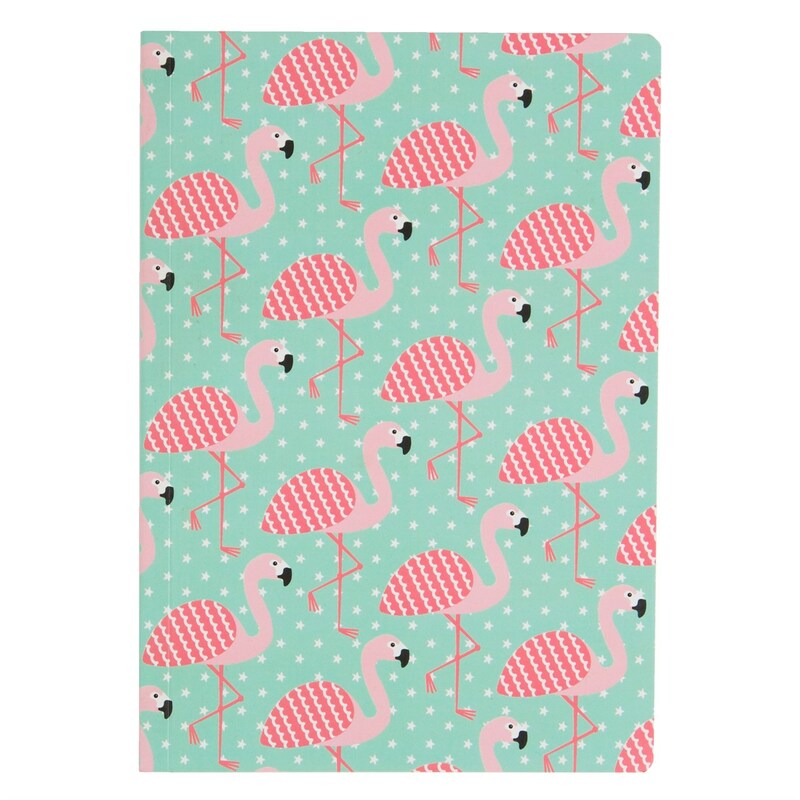 This pretty A5 notebook is the perfect size to take with you on the go and has a fresh summery flamingo pattern design. Each book contains plain pages.